Whenever a professional who tenders Services leaves a company job to start their own business, they realize that they need to wear a lot more hats in their own new business — Sales and Marketing are two of the most important hats they need. 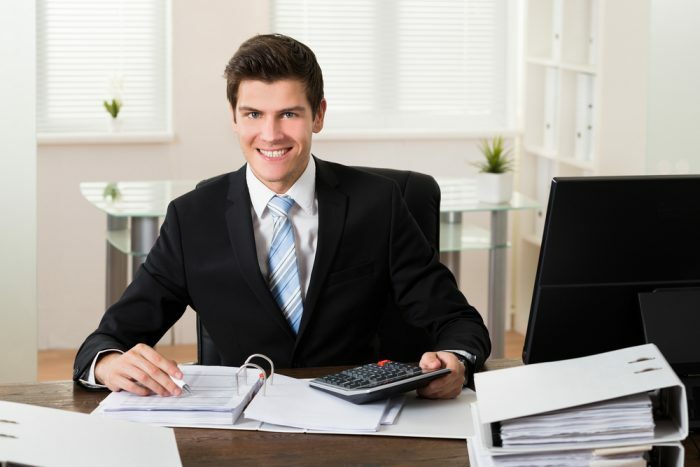 You may bring in 10 to 15 years of accounting experience from a great firm and be very good at Accounting, but that doesn’t mean you’ll have a lot of clients on day one. Don’t keep your new business Enterprise to yourself; let everyone be aware that you’ve started a new business and currently have openings for new clients and customers. Word-of-mouth is always effective:And chances are, your neighbor, someone in your church or mosque, or a fellow parent from your ward’s school will know someone who needs your accounting Services. So, tell your friends, colleagues, email your existing network — spread the word about your new business and always keep plenty of business cards on hand to give out to your potential clients. To earn someone’s business, you first need to be able to write a clear detail of what you do and how you can help them. Just say “I’m an accountant” alone is not enough. You need to be more specific — what’s your area of specialization? What makes you different from your competitors and how will your clients benefit from your services? Any promotional marketing or networking activity will always be more effective when you can do the following things: 1) clearly express what you do, and 2) explain everything in terms of the benefits and impact on the client. I am sure youou are not an expert in all aspects of accounting, so you should target your clients based on your specialized field. It can be: small business, specific industry, a particular demographic, etc. This way you can distinguish yourself from other accountants and target the opportunities where your services will be needed most. Consider demographic trends in your community if you don’t already have a particular niche. Young families moving into the neighborhood may probably want help navigating college funds for their children. If your local population is aging, they could use help with retirement or succession planning. After you’ve figured out your niche, investigate all the different ways that you can help your target client. Giving potential clients the value first is one of the best ways to get people referring your services. Ideally, you’re always getting paid for the services and expertise you provide, but sometimes, you need to kick things off with some free (discounted) work. If you are active with a local group, association or club, offer to handle their accounting tasks. Or volunteer your services for a few hours each week or month at the local Small Business Development Center. As more people get to know you and your services, the easier it will be to find paying clients. Don’t be shy to ask for referrals — even if it’s just for volunteer work. Attracting potential clients is better than cold calling and chasing prospects down. A great way to build your visibility and reputation is to get yourself out there as a solid resource in your specific area of expertise. How do you do that? Write helpful articles for your local paper or relevant niche websites. While you might not be able to promote yourself in the article, you can usually include a link to your website or contact information. Participate in Facebook, WhatsApp and LinkedIn groups and provide helpful (not self-promotional) answers to questions about your niche when you can. Or, you can also teach classes for your target client (i.e., small business owners). Many new small business owners think they can create a new website, place few ads, and wait for the calls to roll in. The reality is different. In most cases, Google Ads will be too expensive for a new accounting business. You can also advertise your business on Vconnect, Google map, work on SEO. But there are a lot of other options out there beyond Google. For example, you can purchase a few Yelp ads. This way local prospects will see your name when they’re looking for accounting services (and this is a great way to have a presence on Yelp before you build a robust client base and have lots of reviews). Also think about advertising in a local newsletter or sponsoring a school or local sports team not just social media alone. Finally, once you land your first few clients, do all that is in your reach to provide them with great service and build a friendly relationship.